archerwin's Swiss Army Knives: Swiss Army Knives Collectors Facebook Group - 1000 Member Milestone! 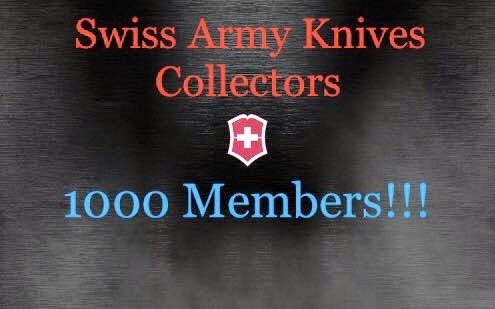 Swiss Army Knives Collectors Facebook Group - 1000 Member Milestone! We've reached a great milestone! We are now 1000 members and growing fast! If you're interested in Swiss Army Knives in general, have a question or want to start a collection, head on over to our Facebook page - Swiss Army Knives Collectors Group. You'll find good people who are only keen to help you out and share our love and passion for this great little toolbox that fits in our pockets - Swiss Army Knife!